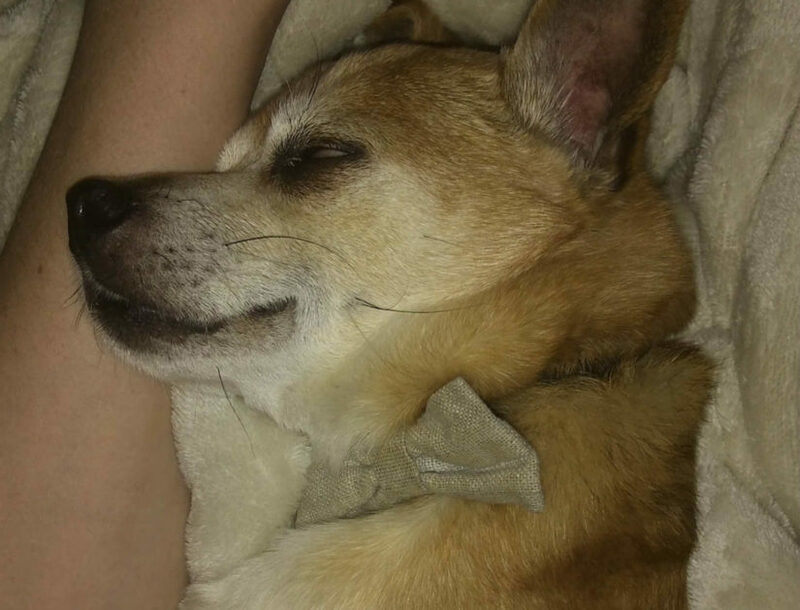 Little Peppy had one home for the first five years of his life. 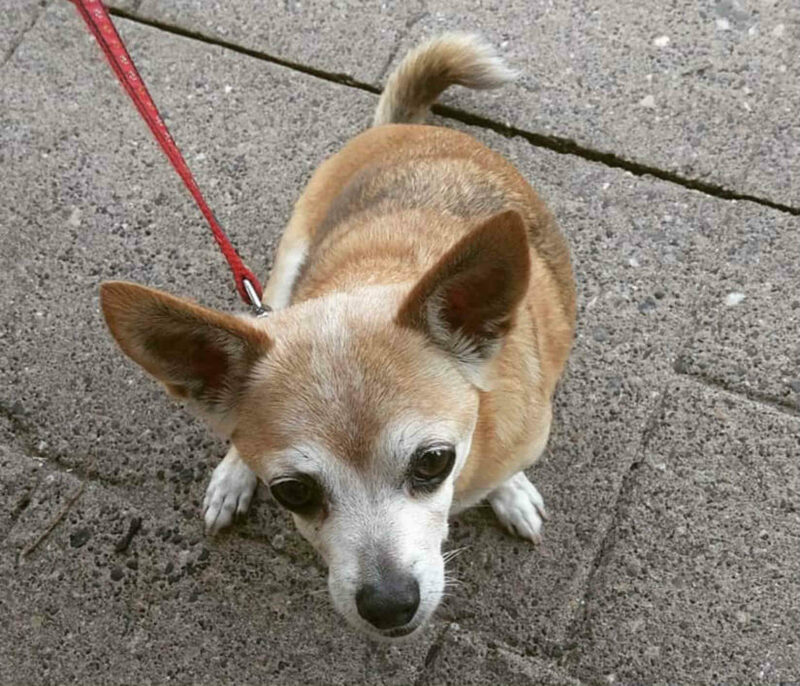 But the little Chihuahua mix became too much to handle for his first owner, so he was surrendered to the BC SPCA Maple Ridge Branch on June 17, 2011. This sweet, timid fellow needed a home with guardians who would be calm, confident and patient enough to teach him doggy manners and help him with his separation anxiety. 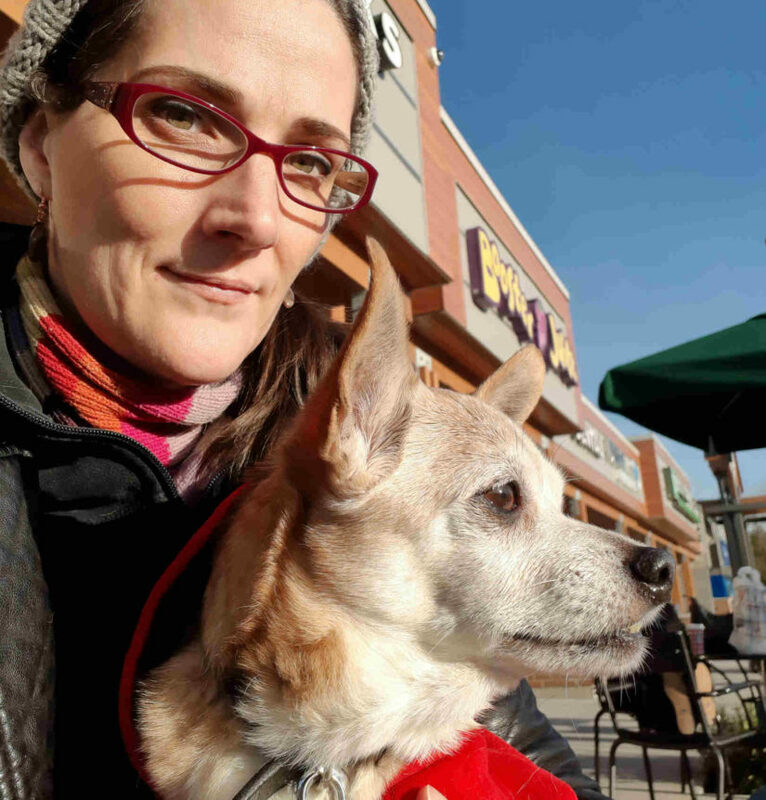 Four days after entering the shelter, Peppy caught the eye of a loving new family, who took him home, and the adoption became final on July 8, 2011. My name is Hannah and I am very fortunate to have adopted my fur baby, Peppy from the BC SPCA Maple Ridge Branch in June of 2011. That was truly a life changing day for myself and my family. 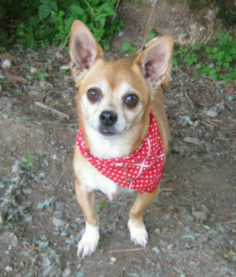 The first time I saw Peppy was actually through the BC SPCA website. I saw his picture and I was hooked. I called right away so we could arrange a meet up. It felt like it was meant to be. He was jumping up and down, eager to meet us. I was told that he was surrendered as a nuisance dog because he was left outside by himself on a balcony to bark all day long. I couldn’t see it. He is such a sweet little thing. Well, since I am disabled and at home all day I knew we would be a perfect match. Just as I thought, he is the furthest thing from a problem pet. Well, unless he is left alone with food in his reach. Peppy is pretty much joined to my hip. When my pain levels are really high he can sense it. He won’t leave my side. I call him my pillow pet because he is just such a snuggly guy. When I leave the house I need to use a mobilty scooter. He has been trained to stand at my feet and ride with me. He loves it! If I have to leave the house without him he sort of panics and tries to climb on my scooter so I won’t leave without him. He is probably the most food crazy dog that I have ever seen. He will eat anything and everything. Even things he isn’t supposed to. We always have to “Peppy proof” the house before we leave him alone. There have been times we have missed something and he is always sure to find it. Watching my two boys grow up though their teens years with Peppy really made me appreciate him so much more. The ability he had to soften their hearts, and in turn to watch them be so loving and gentle with him. 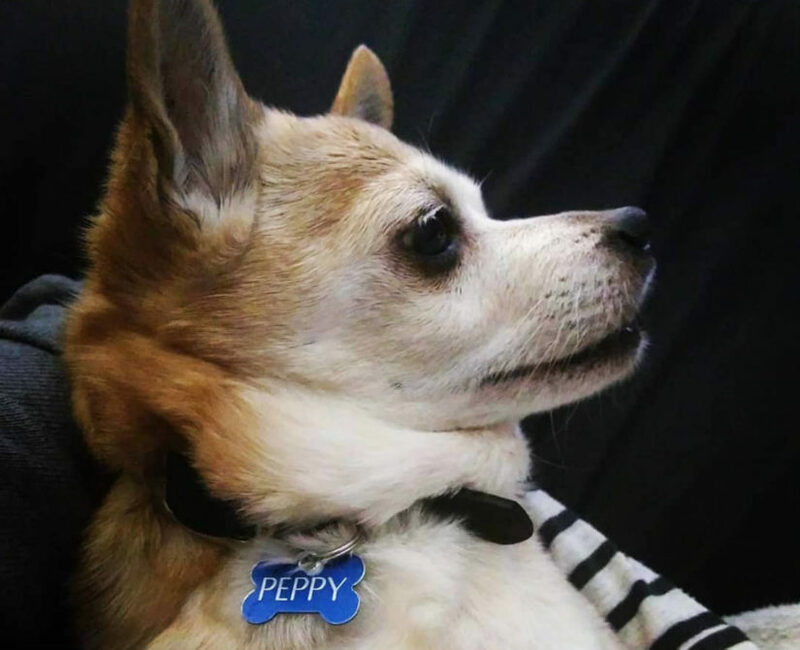 Peppy is a full member of our family. I can’t imagine our family without him. The day we brought Peppy home it changed our lives. He rescued us. Changed us as a family. I will always love him for that. Thank you for everything you do! We wouldn’t have our Peppy if it wasn’t for the hard work of the BC SPCA. Animals truly add so much value to our lives and you have added so much value to Peppy’s. 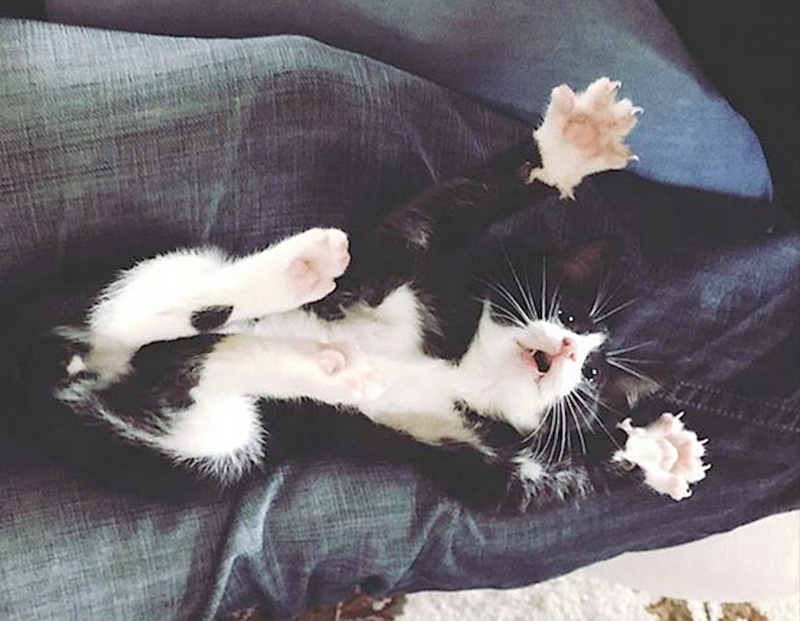 Thank you for choosing to adopt. Best wishes for more wonderful years together.